Assam Governor Prof Jagdish Mukhi who is the constitutional head of the 6th Schedule areas of the State said that in a move to bring the areas within the growth trajectory, there should be expeditious development in 6th Schedule areas. Holding a meeting with a five-member delegation headed by BTC chief Hagrama Mohilary at Raj Bhavan on Friday, Governor Prof Mukhi said that through more decentralization of powers the Bodo Territorial Areas District (BTAD) can be brought in the mainstream of development. He however, maintained that the State government is committed to bring in quality and equal development of all areas including the BTAD district so that people of all sections can enjoy the fruits of development. The Governor also took stock of all the development schemes being implemented in the BTAD and said that he being the constitutional head would ensure more welfare schemes for 6th Schedule areas including the BTAD. Prof Mukhi, however, hailed the development works being initiated in the BTAD and said that more such works are on the pipeline to extend the fruits of development even at the grassroots areas under its jurisdiction. The Governor also asked the delegation to work more transparently so that all sections of the people of areas can be taken on board for BTC to script a new era of development. 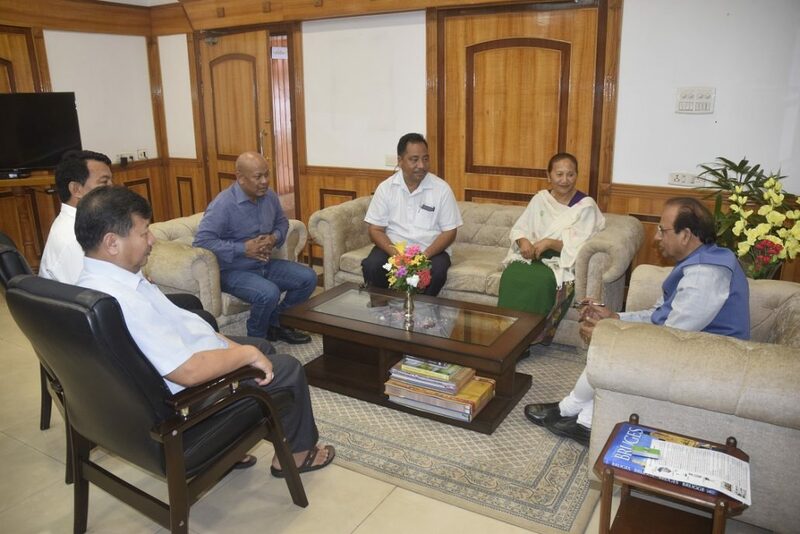 The delegation included BTC chief Hagrama Mohilary, Minister for Social Welfare Pramila Rani Brahma, Minister of Tourism Chandan Brahma, BTC Deputy Chief Khampa Borgoiary, MLA Thaneshwar Basumutary. They spent around one and half hours with the Governor.